Xpress Money is one of the fastest growing money transfer brands in the world with a thriving presence in every continent. Established in 1999 in the United Kingdom, the brand has grown by leaps and bounds and has spread its geographical presence across 160 countries over the last 17 years. The company has transformed and fast multiplied its global network of partners and strategic alliances, that include renowned international money transfer operators (IMTOs), banking as well as non-banking institutions, telcos and online remittance players. Amongst the IMTOs, Xpress Money currently has one of the strongest networks with 180, 000 agent locations worldwide. Xpress Money is committed to working towards developing innovative payment solutions such as Cash Payouts, Account Credits, Cardless Payouts through ATMs, Credits to Remit Cards & Mobile Wallets and Door Delivery Services to support the growing expatriate community across the world. As part of its digital offerings, the brand recently launched XOPOTO, an international money transfer app. Keeping the customer’s trust is imperative to the remittance business – a thought that finds resonance in the seriousness with which Security and Compliance is approached at Xpress Money. The brand’s best-in-quality security checks and seamless support ensures that every transaction reaches its destination. A unique 16 digit PIN is provided to every customer that helps establish error-proof identity of the beneficiary at the time of payment collection; payouts are made only upon proper identification of the recipient. The sender also receives an SMS confirmation once the payment has been collected on the receive side. The brand provides 24 X 7 support in over 30 languages to its customers and agent partners, helping them keep track of transactions every step of the way. The brand also has robust Anti Money Laundering (AML) and Anti-Terrorist Activity (ATA) compliance processes in its backend to help provide comprehensive risk intelligence to keep Xpress Money’s network error-free and secure. 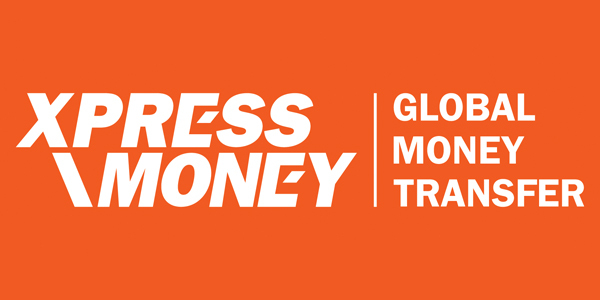 Working towards the goal of making money transfers convenient, to millions of expatriates residing away from their homes, Xpress Money has come to be known as one of the most dependable international money transfer brands. Xpress Money provides its customers instant, secure and convenient ways to transfer money anywhere in the world through innovative technology, superior customer service and its extensive global network. For more information, visit www.xpressmoney.com.